Traditional travel-inspired interior design usually consists of retro suitcases, old globes, and huge, wall-sized world maps. 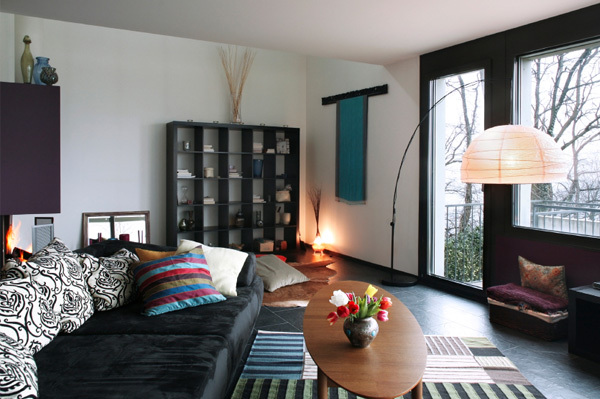 Modern interior designers are updating this old style to make interiors look more like a comfortable living space. Finishing touches, such as antique trunks, vintage cameras, and oak coffee tables, can make a travel-themed interior feel like home. Some of the most well-known interior designers love to travel as well. These experienced professionals have excellent advice when it comes to decorating a living space. Not only are they experts in their field, but they have the taste preferences that draw them to chic overseas hotels and bed-and-breakfast inns. Sophie Conran recently opened up about her professional preferences for travel-themed interior design. She’s a seasoned designer who spends a lot of time in travel destinations such as Cadaques, Spain, Fairylands, Bermuda, and Devon, U.K. When it comes to travel-inspired décor, she recommends that people keep an eye out while on vacation for items that would spruce up their living space. For example, in Europe, take a stroll through an open market to find great deals on furniture, paintings, and antique books. If you’re unable to get a passport in time, you can still find the perfect addition to your living space by shopping at retail locations that specialize in imported products. Stores such as Pier 1 Imports and Cost Plus World Market carry a large selection of foreign furniture, antiques, and paintings that might fit perfectly in your home. Experiment with various drapes, rugs, picture frames, and throw pillows. These accent items can really bring together an interior space by complementing larger items such as beds, tables, and dressers. If you can’t find the right piece of furniture, talk to the staff at the furniture store to find out whether they can order an item specifically for you or have new inventory arriving soon. If your home is decorated according to a specific theme, you’ll want to take the time to find a boutique outlet or specialty store that carries items to coordinate with your design. Don’t compromise your taste by purchasing a high-dollar item at a nearby store just because it was available. When you’ve put so much effort into decorating your home around a travel-inspired theme, it’s worth the extra effort to coordinate each new item with your existing design.